Movies have always been a part of our culture. For every milestone, historical event, or scientific discovery; there is always a movie ready to reflect reality from an artistic and sometimes exaggerated standpoint. What if movies did not have language, though? While it is said that language is the medium of conversation, it is also said that images are more powerful than words. Silent films evoke a feeling of both antiquity and timelessness. Though cinematography was very simple and the concept of “green screen” was unknown then, even a person unfamiliar with silent films can follow the storyline. The pure sincerity of the acting alone is enough to reveal a character’s disposition, such as a grimace pertaining to disdain or a grin representing sly joy. Silent films do not need extemporaneous effects to convey a powerful message that will last for centuries, making the experience seem novel though actually vintage. Starting 2007, Manila has been host to this one of a kind experience of watching silent films produced a century ago. Renowned as the first and the oldest silent film festival in Southeast Asia, the International Silent Film Festival returns to Manila for its 12th installment, this time at SM Megamall. Participated in by eight countries this year – Italy, Philippines, France, Germany, Spain, U.S.A., Austria, and Japan – it is a much-awaited event where different countries are able to share a part of their culture in the early 1900’s with Philippine contemporary musical culture. We let you in on some of the films to watch out for in this year’s roster of the 12th International Silent Film Festival. Rapsodia Satanica is a film about an aging Italian aristocrat, Dame Alba d’Oltrevita (Lyda Borelli), who is passionate in finding a second youth until she discovers a particular and special solution for her beauty problems: a pact with the devil. However, as for Faust and for Dame Alba, things don’t go as expected. Rapsodia Satanica is the most important of those stylish melodramas made in Italy in the early silent days for it gave prestige to the unique style of Italy’s film productions. It is known for its literary inspirations, its Liberty scenery and indoor settings, and acclaimed for the skilled performance of Lyda Borelli, star of Italian silent cinema. Accompanying Rapsodia Satanica in the ISFF 2018 is MilesExperience, a band that started out as a blues band in 2011, but delved into a “unique, barely heard of sound in the local music scene” when they revamped their image in 2014. MilesExperience hails from the UST Conservatory of Music and is currently made up of five members: Miles Bondoc on vocals and guitar, Tim Dadivas on drums, Ian Diaz on bass, Guido Hizon on keyboards, and Justin Teaño on guitar. Trivia: The original music of Rapsodia Satanica was scored by Pietro Pascani in 1915. The music is very important to the film as it signifies transition in the storyline. This Is Not A Lost Film features “The Lost Film Trilogy”, which is composed of “Filipiniana”, “Aswang (1933)”, and “Juan Tamad Goes to the Moon (1898)”; plus an excerpt from “Nitrate: To the Ghosts of the 75 Lost Philippine Silent Films (1912-1933)”. Teddy Co, chairman of the National Committee on Cinema (NCCA) and Commissioner for the Arts, has been involved in Philippine cinema in the last four decades as an archivist, festival organizer, juror, and selection committee member in various festivals. He selected the Philippine titles for the International Silent Film Festival from 2011 to 2013. This Is Not A Lost Film represents the problems in Philippine cinema. The first film made in the Philippines to feature optically recorded sound was George Musser’s Ang Aswang (The Vampire). 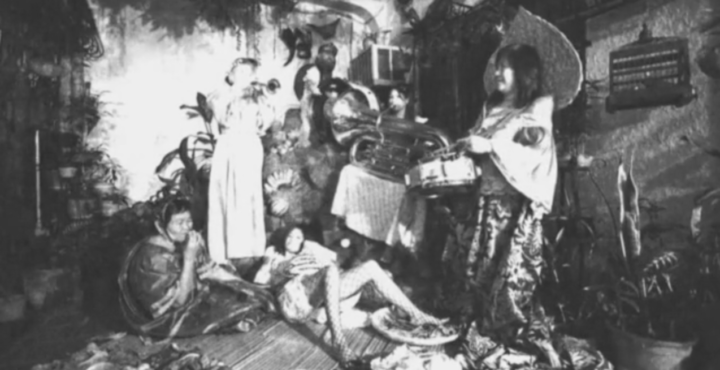 In 1932, Musser imported Php 50,000 worth of optical sound equipment and turned his house into a studio. He spent a year shooting the film with Charles Miller as his cinematographer and William Smith as his soundman. Despits its Tagalog title, the film was actually recorded in Spanish and English. 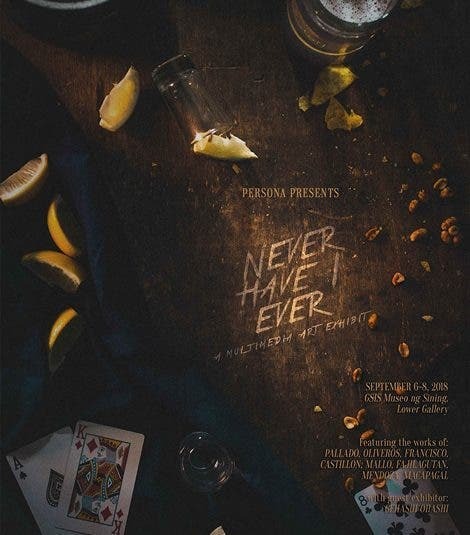 The film is an abstract found-footage horror using nine existing films from 1952 to 1980 to reimagine, reconstruct, simulate, commemorate, and commiserate with the seventy-five lost Philippine silent films from 1912-1933. Khavn is a composer, pianist, singer, and songwriter who has made 23 albums. He holds the world record for the longest-ever solo piano concert without breaks for the 13-hour live score of his 13-hour film “Simulacrum Tremendum” in the Rotterdam International Film Festival 2016. He recently won the 2018 Gawad Urian for Best Music for his soundtrack to “Balangiga: Howling Wilderness”. His other bands include The Brockas, Fando & Lis, and Vigo. The Kontra-Kino Orchestra was formed in 2016 as a 33-piece improvisation ensemble conducted by Khavn to create an album of imaginary soundtracks. La Passion de Jeanne D’Arc tells the story of the trial of Joan of Arc in 1431 where she was accused of heresy by ecclesiastical judges determined to make her disclaim her visions, which ended with her being burned at the stake. La Passion de Jeanne D’Arc’s music is scored by Dingdong Fiel, an established and internationally recognized pianist, composer, conductor, musical director, and vocalist. He earned his Bachelor of Music Degree from the UST Conservatory of Music in 2007, and was awarded a full scholarship for post graduate studies at the Franz Liszt Hochschule Fur Musik in Germany immediately after. He started out his music career as a pianist after garnering a total of 5 first Prizes from various international piano competitions, and is also a pianist for various Jazz groups. In his career as Musical Director, he was involved in various theater productions and concerts such as Repertory Philippines’ Manila staging of the musical “No Way to Treat A Lady” (2013), Ryan Cayabyab’s Rock Opera “Lorenzo” (2013), the Manila run of “Into the Woods” (2015), and Menotti’s thriller opera “The Medium” (2016) to name a few. This is his fifth film entry to the Manila International Silent Film Festival but a first for him to completely notate the music sans improvisations. This year, he will be playing alongside Andrew Constantino on clarinet, and Kyongmin Nam on cello. Dubbed as “the first true horror film”, Das Cabinet des Dr. Caligari tells the story of a mad doctor who is being suspected of sending a reawakened corpse on a killing spree. It is later revealed that he is the director of an asylum for the insane, where our protagonist finds out that the doctor has obsessions far darker and more sinister than he had imagined. Das Cabinet is considered the quintessential work of German expressionist cinema and uses a fantastical and graphic visual style instead of a naturalistic one. 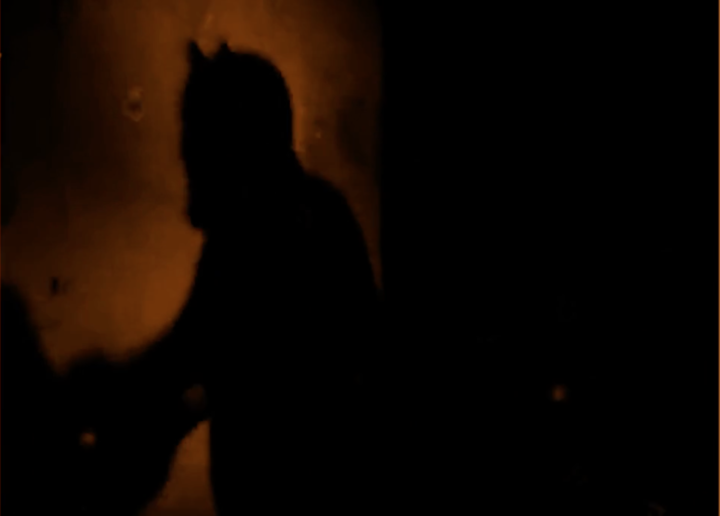 The film introduces styles and sets used in today’s horror/thriller movies: landscapes that twist in unusual angles, predominantly sharp-pointed forms and silhouettes, contrasts between lights and shadows, the twist ending, and the unreliable narrator to the language of the narrative film. Playing alongside the film is Kontemporaryong Gamelan Pilipino, known as Kontra-GaPi, an indigenous ensemble founded by Prof. Edru Abraham of the College of Arts and Letters of the University of the Philippines – Diliman. The group strives to express music and kindred arts from indigenous well-springs, ancient and profound sources, and the cultural diversity of the Philippines and her Asian roots. Their music can be described as “magical as the moonlight and constantly changing as the water”. Read on to know more silent films to watch out for!